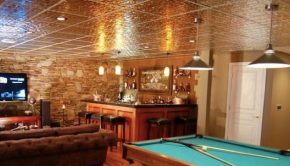 Not much is easier than installing faux tin backsplash and really, it can completely transform the look of your room. Just roll it out and cut it to size with a scissors or box-cutter knife. Since the rolls are a standard 2ft wide, all you need to do is decide on the length of the roll you want. Basically, you will not only need to cut the width to match your dimensions, you will also need to cut the height. Be sure to use a straight edge metal ruler or t-square to avoid a wavy, downward sloping, unprofessional cutting job. The only other material you need is rubber cement. 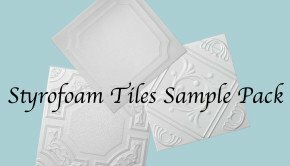 You apply it on both the wall surface and the back side of the faux tin backsplash roll. Wait 15 minutes and then stick it to the wall. 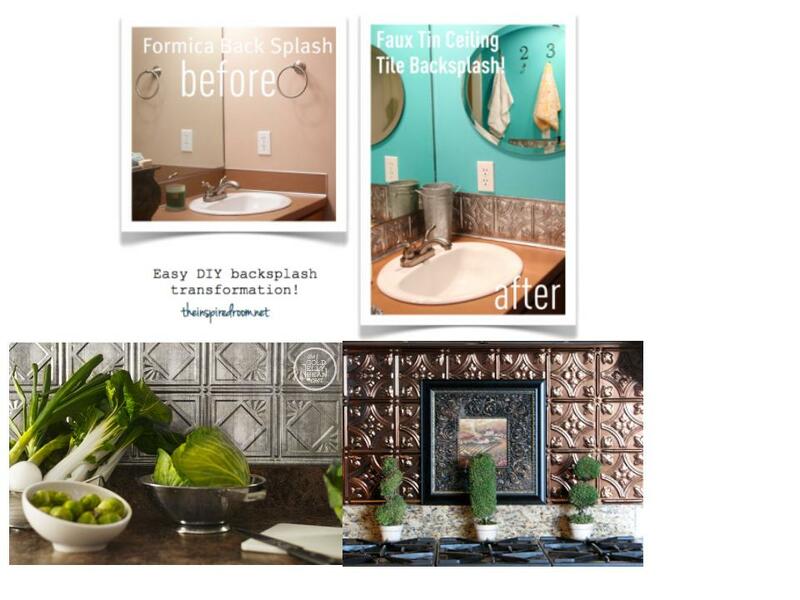 If you are interested in learning more about faux tin backsplash rolls, be sure to check out this new featured video!